Clearly they do start from the same value when g1=0.01 but there appears to be a kink around g1=1. 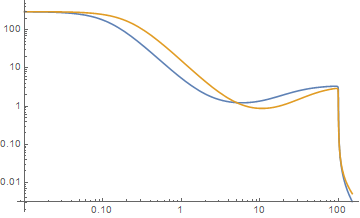 In general, I just want a Log-Log graph that shows that both curves starts at the same point when the x-axis is 0 How should I approach this? 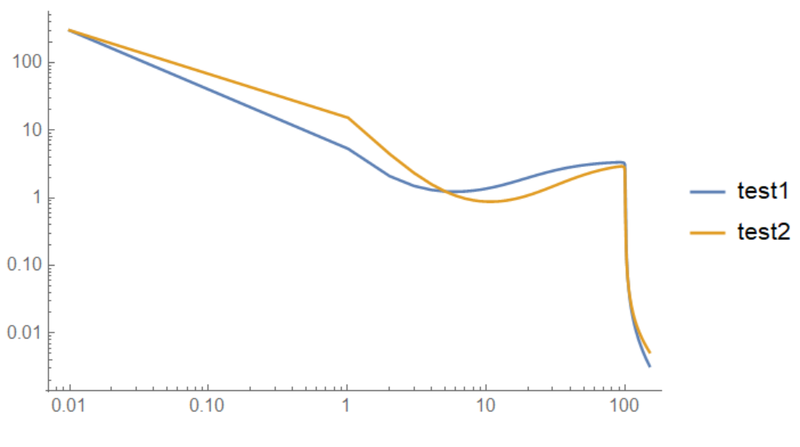 Second of all, it appears that beyond g1=100 the curve drops suddenly to about 0.01. 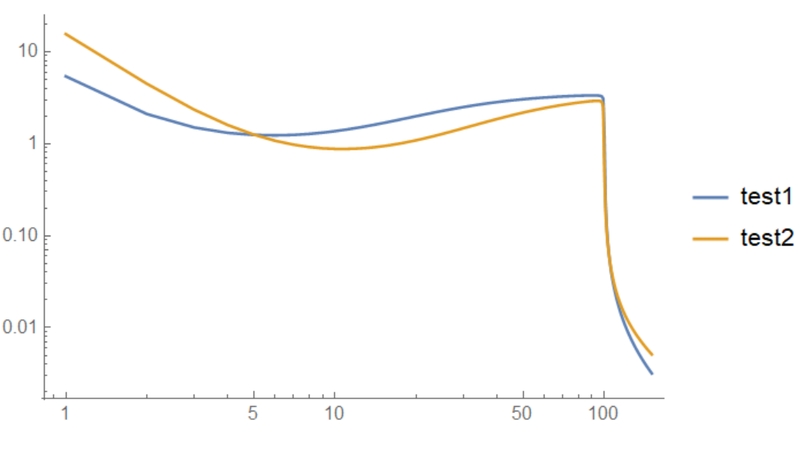 I think it might be numerical instabilities but I'm not sure what's going on here. If it were numerics, I should have had warnings but I didn't see any. What is going on here? How to combine ListLogLogPlot and MatrixPlot?